With Chef Benjo Tuason's experience in several cuisines, it was only a matter of time before he came up with a Peruvian/Filipino restaurant. 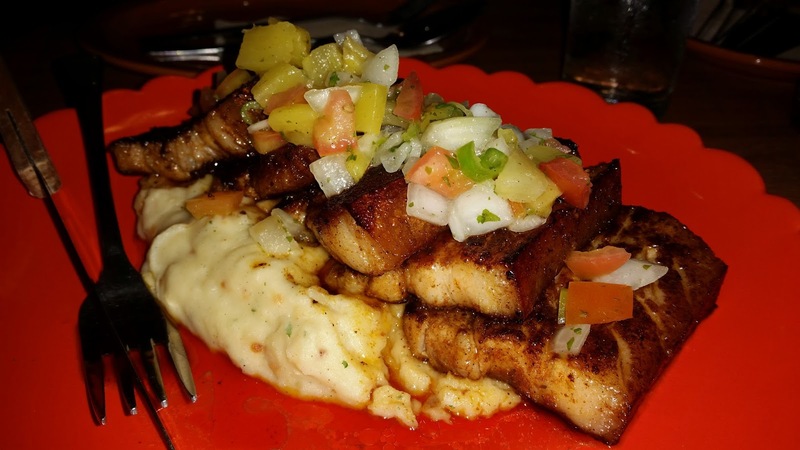 His food is so good that I could still remember the taste of his Cochinilla when we came and reviewed one of his other restaurants, Relik Tapas Bar and Lounge. It was a good thing his newest restaurant Sobremesa became the 4th stop in our Sapphire Bloc Food Revolution. 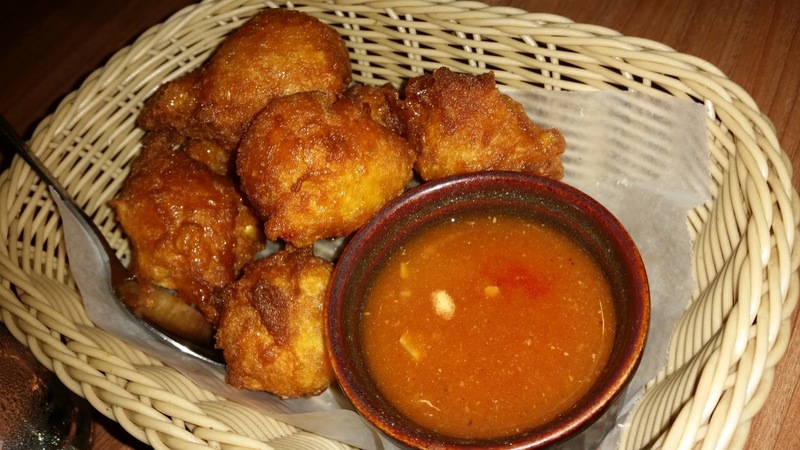 The Sweet Corn Fritters is crunchy on the outside and tasty on the inside. It is accompanied with spicy marinara sauce for those who want an extra bit of spice. I have to admit it got me addicted and it was a shame how there was not more of it. 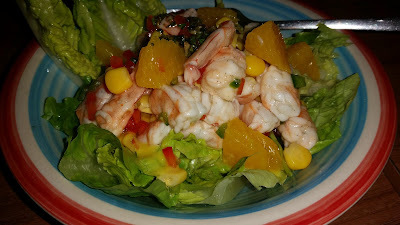 I'm not a big salad person since I feel it is just something that puts contents in my tummy before the main courses so I admit I did not have a taste of the Shrimp and Mango Salad. However, I asked my fellow bloggers what they thought about it. They were obviously too busy munching on the food as they just looked at me and gave it a thumbs up. No explanation required. Everyone was really impressed with the Bulalo Estofado and I can't blame them. 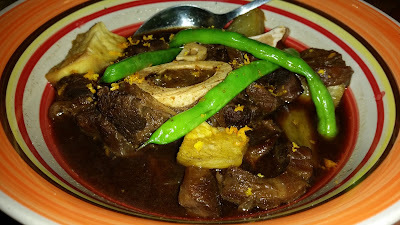 It is sweet and salty slow braised stew orange, ginger, sherry butter and kamote fries. The tender meat is what makes this dish so special. The sauce is great to mix with their fried rice too. When I go back, this will definitely be the first thing on my mind. My eyes lit up when the Peruvian Spiced Roasted Chicken was served in front of us. 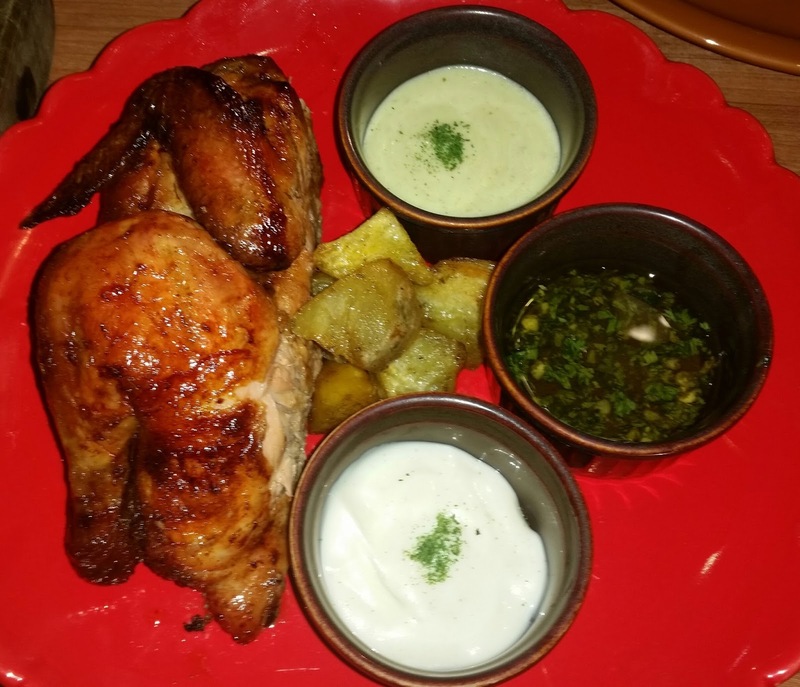 I was not able to try dipping it into the sauces as I prefer my chicken as it is. This is definitely best when served with fried rice even when accompanied with potatoes. The chicken was cooked nicely and it reminded me how much I loved Peruvian Chicken. The Grilled Pork Belly is put on top of mashed potato with mango salsa on top of it. 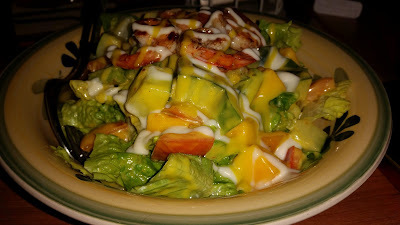 I loved the way it was cooked and it was one of those times when I could not say a single bad comment about this dish. It was near perfect. With a world class chef like Benjo Tuason, you would expect nothing less than great food. The Barako Coffee Crusted Rib Eye is no exception. 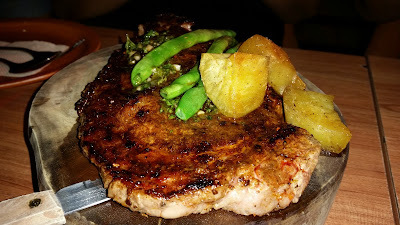 In fact, it is so tender that the blogger nearest to it was able to slice some parts for all of us. I loved every bite I had of it too. Chef Benjo Tuason did it again in terms of impressing me with his food. 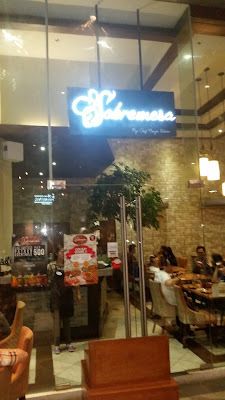 The ambiance is nice as well and it could be a place where people can hang out after a long day's work.